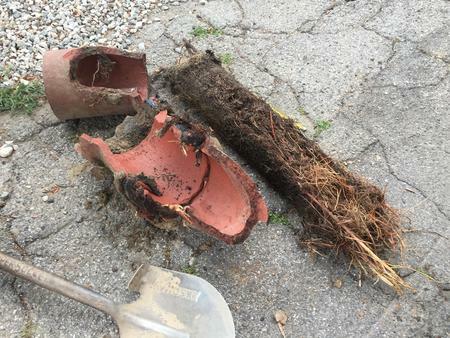 Broken, clogged sewer line, and root problems are very common for any city in Los Angeles county. 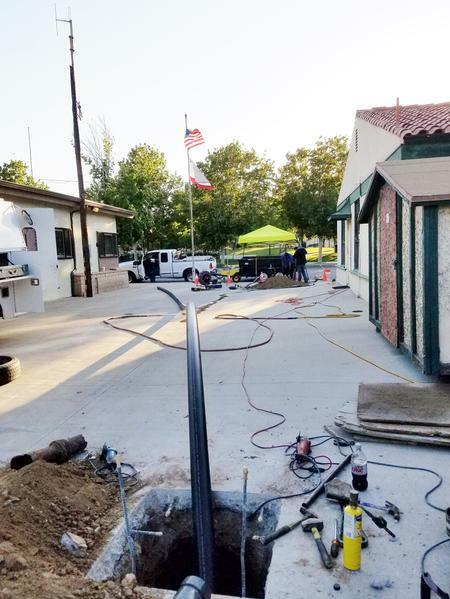 There are many problems with roots in sewer lines in Santa Clarita CA, Canyon Country CA, Newhall CA, and surrounding areas. When the time comes for replacing your old sewer system there are different methods. Old excavation which could require destroying you drive way, breaking floors, excavating beautiful landscaping and being very costly. Trenchless sewer repair and replacement. How does trenchless work for the home owner? At The Rooter Drain Expert we specialize in different methods of trenchless sewer repair and replacement. We have been working in the San Fernando Valley and Los Angeles area for many years and know which methods work best. The most common methods are pipe bursting and trenchless pipe lining. Lets talk about trenchless pipe bursting. It requires 2 access points. One at the start point of the problem pipe and one at the end. A special cable is ran through the old sewer system and a hydraulic puller pulls on the cable, which drags along a new pipe behind it. When the puller drives the new pipe in the old pipe will break and the puller will leave the new pipe in place. This is where the name pipe bursting comes from. It is called trenchless but it does require minimal excavation once again 2 access points. The trenchless pipe bursting happens in between the 2 access points just as pictured left. This prevents the need to excavate the entire length of the pipe to be replaced, thus saving drive ways, time and money to the home owner.